The German automaker is currently in the early stages of development for an EV that will target the Tesla Model S and will be a new dedicated fifth model range slotting beneath the existing Panamera. While details on Porsche’s first all-electric production vehicle are mostly being kept under wraps at the moment, it will likely be built on the automaker’s second-generation MSB platform that underpins the current Panamera. 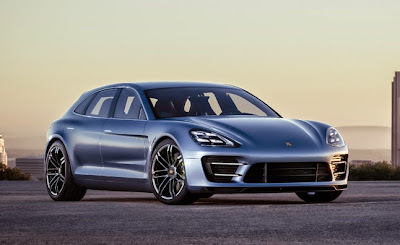 It will have a shorter wheelbase than the existing Panamera sedan but will be a five-door hatchback, similar in style to the Panamera Sport Turismo concept that debuted at the 2012 Paris Motor Show. The company is hoping to keep it around 2,100 kg and its electric powertrain will provide similar performance as the Model S, though Tesla did just announced the more powerful all-wheel drive Model S P85D. Porsche is aiming for a range of over 450 km and the company is expected to work with Audi, so we expect they will also use solid-state batteries.